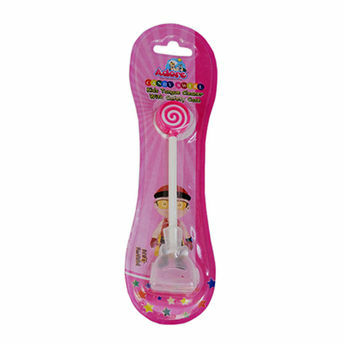 Mighty Raju Candy swirl Tongue Cleaner with safety case eliminates bacteria that causes cavities & bad breath in mouth. Head of the tongue cleaner is made of safe rubber. Lollipop shaped design arouses curiosity and helps children in forming a good habit of oral hygiene. Safety case helps in enhanced longevity of the tongue cleaner.